In 21 case studies, the EUKI project BEACON evaluated national climate policies in European countries. 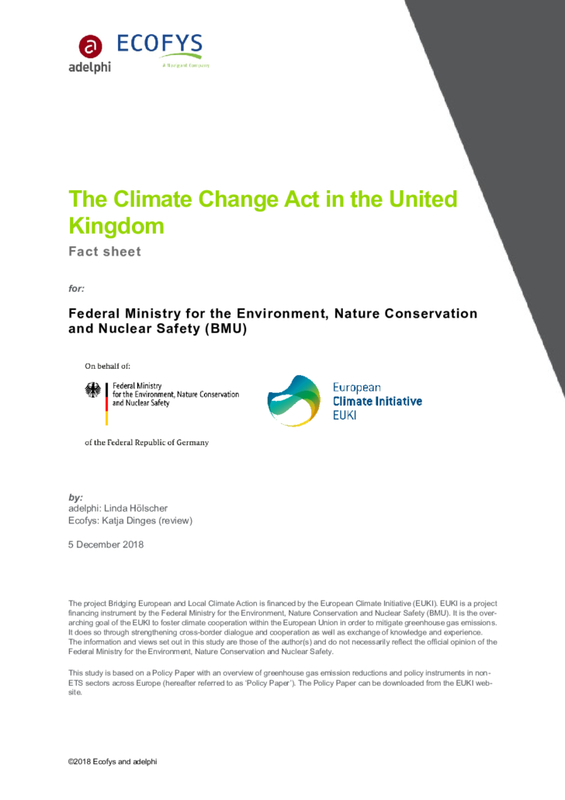 The UK’s Climate Change Act, adopted in 2008, is one of the first comprehensive climate change laws and is generally seen as a ground-breaking piece of environmental legislation. It established an effective institutional structure and changed the overall political debate on climate policy.